Ukrainian Institute of Fashion History is the first interactive center of traditional and modern clothing in the country. 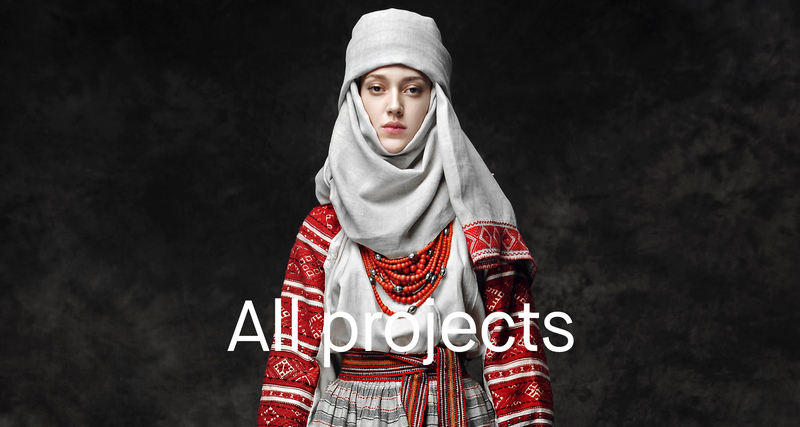 It embodies the essence of traditional Ukrainian fashion from the best local designers. Ukrainian Institute of Fashion History was created to emphasize the Ukrainian traditional style in modern clothing. 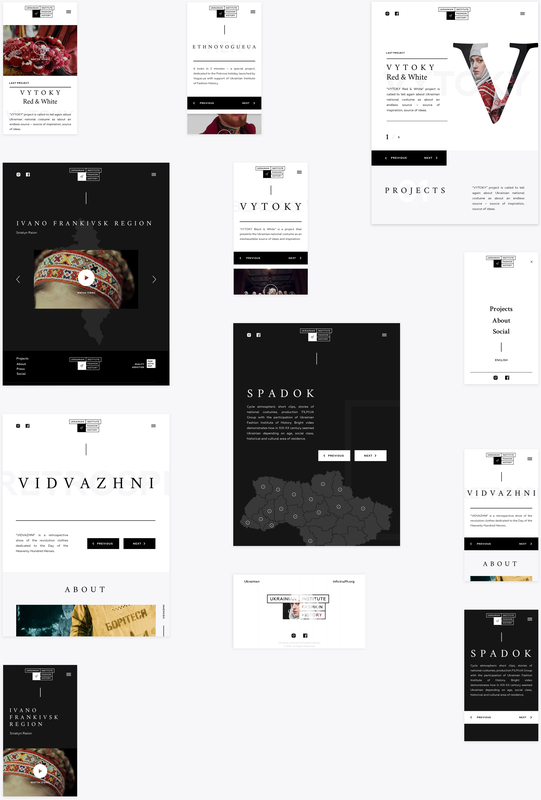 We developed the website, which intended to be an interactive encyclopedia for Ukrainian fashion. It covers all centuries and periods of the national fashion industry. 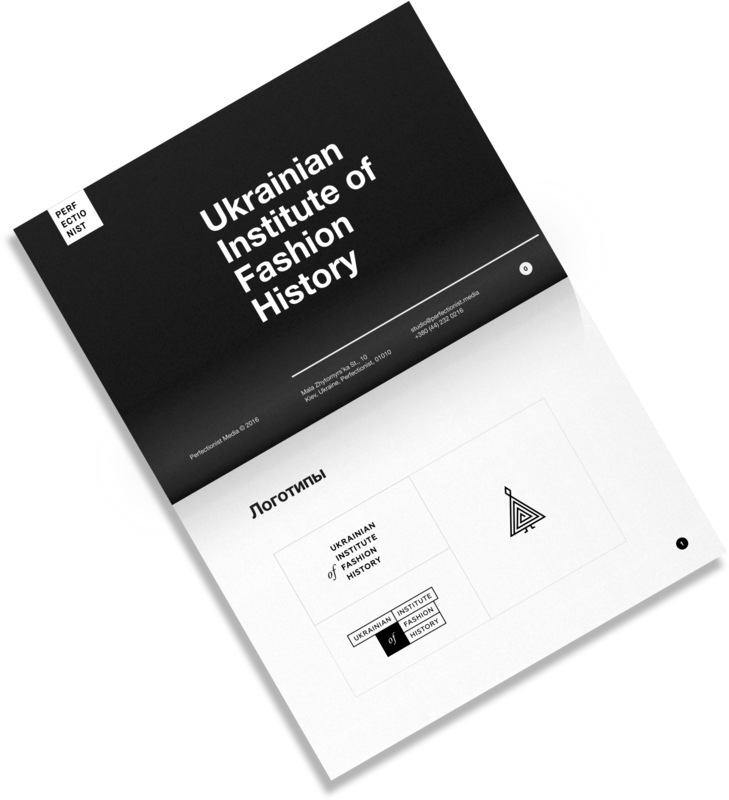 How can we show the Ukrainian national clothing fashion institute in a modern way? 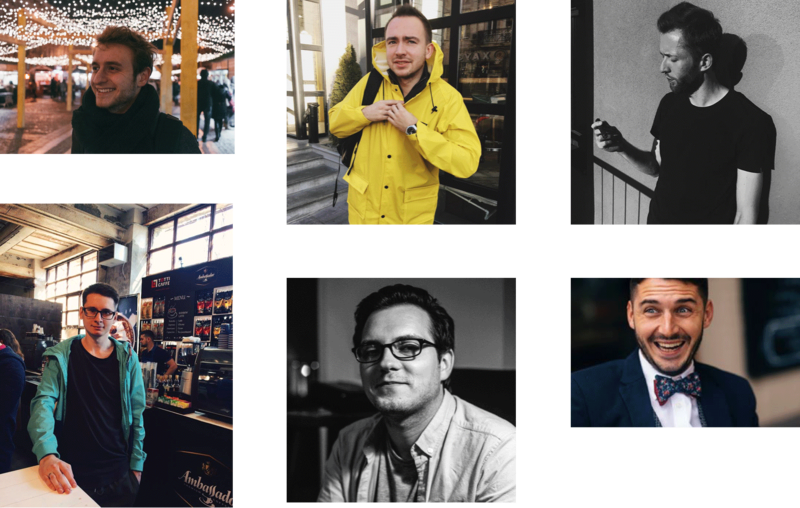 At the end of 2016, our friends at ​Zagoriy Family Foundation​ asked Perfectionist agency to consider the new opportunity. 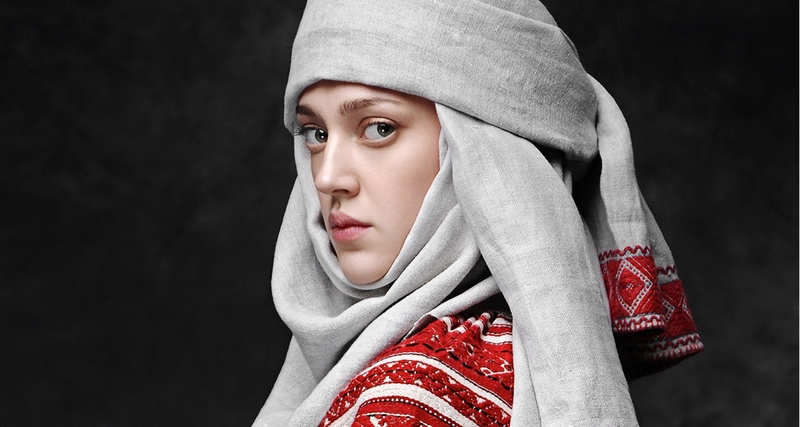 They sponsored Ukrainian Institute of Fashion History that focuses on showcasing Ukrainian national clothing. After a couple of meetings to clarify their approach in the business, we agreed to work on this project. 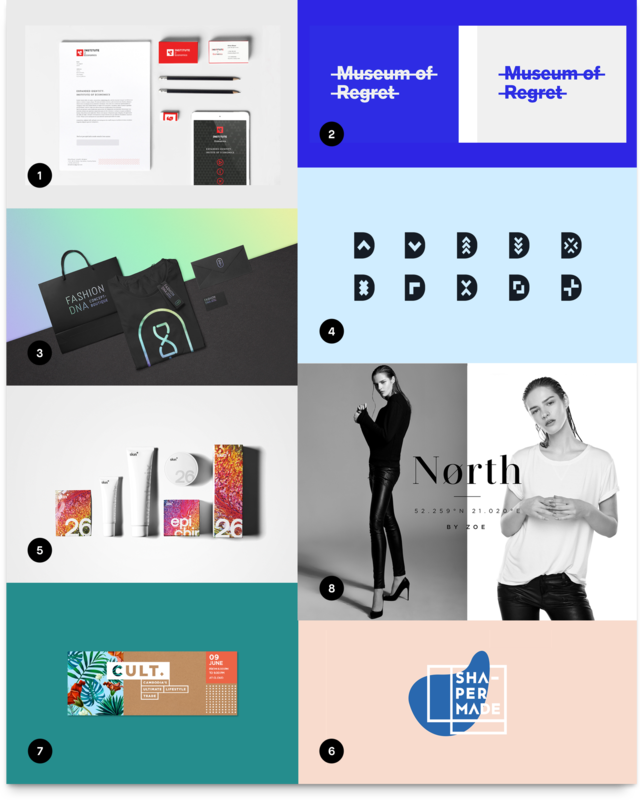 We presented a simple mood board with our vision on the product. It was so natural to speak about the future style of the Ukrainian Institute of Fashion History. That is why we took only a few examples of the concepts we wanted to move forward. The Institute has united the best creative minds in Ukraine to work for the same global purpose. From the very beginning of its creation, our team exerted every effort to develop the project that conveys deep respect for Ukrainian tradition in the modern framework. National fashion industry now has its first interactive encyclopedia. I was responsible for the general concept and spirit of the project. I worked on visual design and branding. Moreover, I also made technical assignments and interaction design. As an Art Director, I worked with creatives on the client’s side, and all the problems were solved very fast. The client’s brand required a logo and brand identity. We started with a proposal, and it hit right the target. The general logotype was built with a simple square grid. It was geometric to show the real stand of Ukrainian culture, making it modern and easy-to-read. The second sign means evolution, mother’s energy. It is a traditional symbol of Ukrainian national fashion. The client asked to refine this symbol and leave it as it is. The client’s brand required a logo and brand identity. We started with a proposal, and it hit right the target. The general logotype was built with a simple square grid. It was geometric to show the real stand of Ukrainian culture, making it modern and easy-to-read. The second sign means evolution, mother’s energy. It is a traditional symbol of Ukrainian national fashion. The client asked to refine this symbol and leave it as it is. To demonstrate logo structure and it’s motion, we prepared a super-short video. The homepage had to be created taking into account that the amount of the projects of Ukrainian Institute can be changed. The most known project “Vytoky” shows the richness and purity of the cultural heritage of Ukraine. It consists of two parts. This project has marked the start of the Ukrainian Institute of Fashion history. We paid attention for all sections & projects, made them accessible from the admin panel. This way of content creation requires additional attention to customization. We developed the website for the wide range of devices keeping the entire structure, functionality, and the visual attractiveness of the design. Our approach was based on the modernity of the website for historical conservative fashion. It had to function smoothly for all mobile resolutions.